The Best Business Coach Podcasts from thousands of Business Coach Podcasts on the web using search and social metrics. Subscribe to these audio podcasts because they are actively working to educate, inspire, and empower their readers with frequent updates and high-quality episodes. Business Coach Podcast newsletter is a comprehensive summary of the day's most important audio podcasts episodes from the best podcasters on the web, and delivered to your email inbox each morning. To subscribe, simply provide us with your email address. About Podcast Laugh and learn from the best business coach out there in these hilarious yet practical business podcasts that will give you specific steps to growing your business. Chandler, AZ 85286 About Podcast Infusionsofts Business Success Blog delivers creative, innovative, and helpful insights for small business. Learn from a dedicated team of experts how to supercharge your business! Facebook fans 223,129. Twitter followers 39,073. United Kingdom About Podcast Join Up Dots is an inspirational podcast created for entrepreneurs wanting adventure, money, freedom and want their dreams to come true. Listen to this podcast to learn how to start your own business where guests share their experiences which will fill you with motivation and inspiration. Facebook fans 6,576. Twitter followers 4,493. Austin, TX About Podcast As an entrepreneur, business owner, author and start-up business coach, Chris Harris provides insight to help you grow your small business to new heights. Facebook fans 452. Twitter followers 22,826. Austin, TX About Podcast This podcast gives you an insight from Millionaire Business Owners on how to expand your business. Facebook fans 23,339. Twitter followers 45,944. About Podcast Chris Ducker is a proud British entrepreneur, bestselling author and international keynote speaker, who brings you his own take on what it means to be a personal brand entrepreneur in the 21st century. Youpreneur is the mastermind community that helps YOU build a future-proof business, by becoming the go-to leader in your industry. Facebook fans 434. Twitter followers 959. Southern CA About Podcast Natalie Eckdahl, MBA, is a business coach, professional facilitator, keynote speaker and host of the Biz Chix Podcast. She works with female entrepreneurs desiring to grow a profitable business whether they are just starting out or have a million dollar company. Facebook fans 4,063. Twitter followers 3,811. About Podcast In this podcast you will find faith-led business mentorship, marketing advice, sales training, belief, inspiration, the power of passive income, how to get in line with your truth, and step into your greatness. Facebook fans 3,259. Twitter followers n/a. London About Podcast Each episode of Exceeding Expectations features an interview with a person that loves their work and tries to far exceed the expectations of their clients. This results in a win-win situation for the person doing the work and for the client. The client is delighted that they received more than they expected which often leads to them writing fabulous testimonials and passing on more referrals to their friends and business associates. It also results in the work being more enjoyable. Facebook fans 50. Twitter followers 1,207. Washington, DC About Podcast Weekly 8-Figure Business proven method strategies for successful entrepreneur women to scale a business to 8-Figures. Build -to-sell and creating generational wealth through businesses. Facebook fans 142. Twitter followers 21. About Podcast The Business Owners & Entrepreneurs Podcast with award winning business coach Peter Boolkah (aka The Transition Guy®) will help you take control of your business (and your life) while growing and transitioning your business from one level to the next. Facebook fans 8,767. Twitter followers 821. NYC - Boulder - SF About Podcast The Reboot podcast showcases the heart and soul, the wins and losses, the ups and downs of startup leadership. On the show, Entrepreneurs, CEOs, and Startup Leaders discuss with Jerry Colonna the emotional and psychological challenges they face daily as leaders. Facebook fans 1,118. Twitter followers 3,440. San Francisco Bay Area About Podcast This Podcast is by Annie coach who helps therapists build bold and unique businesses with her advices and tricks. Facebook fans 819. Twitter followers 337.
uk About Podcast Jo Casey is a business coach and mentor who helps women overcome their feminine conditioning and build sustainable service based businesses. Facebook fans 1,555. Twitter followers 3,721. Colorado Springs, CO About Podcast In this podcats, Tom shares his tips & strategies to help you grow your contracting business. Facebook fans 771. Twitter followers 1,070. Facebook fans n/a. Twitter followers 3,490. Arizona About Podcast Each week we discuss ways to help you grow your business by sharing nuggets that will help you increase your profits, boost your sales, improve your processes and develop stronger teams. Facebook fans n/a. Twitter followers 764. About Podcast This podcast helps you to scale up and grow your business with team coaching. Facebook fans 1,108. Twitter followers 908. 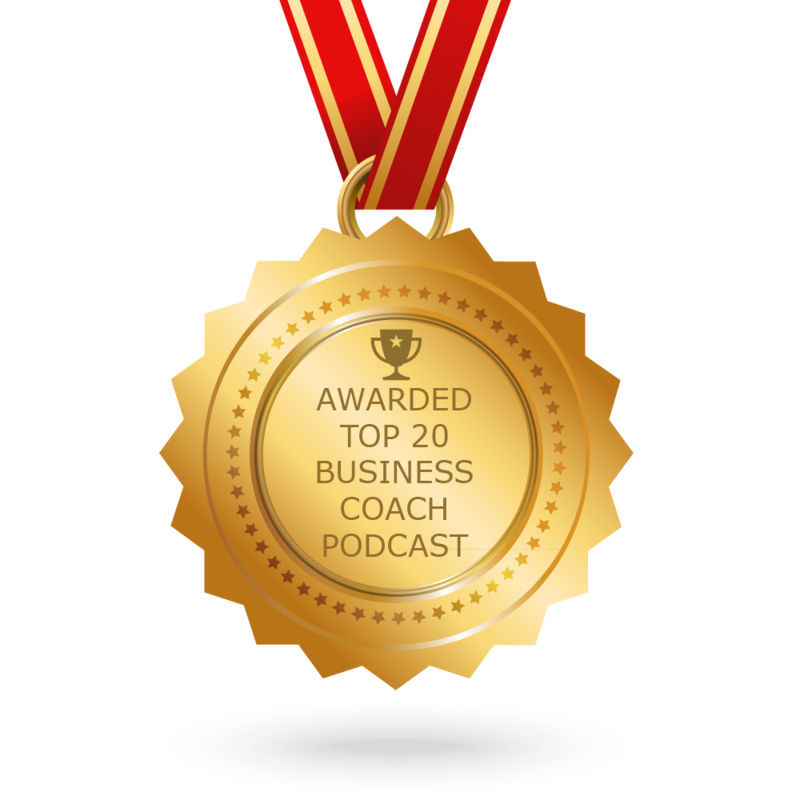 CONGRATULATIONS to every podcast that has made this Top Business Coach Podcasts list! This is the most comprehensive list of best Business Coach Podcasts on the internet and I’m honoured to have you as part of this! I personally give you a high-five and want to thank you for your contribution to this world.